Based on Hose Master’s level of expertise, Metal Hose 101 is the definitive metal hose course. It focuses on corrugated and stripwound hose while integrating the fundamentals of application and sales. Expansion Joints 101 provides in-depth product training and detailed application analysis of more than twelve major styles of expansion joints. Students will interface with Hose Master’s team of expansion joint engineers, designers, and application specialists. Class work is combined with plant visits to follow an expansion joint through the entire manufacturing process. Value Selling integrates the knowledge gained from Metal Hose 101 and Expansion Joints 101 with today’s best sales practices to ensure you become your customers’ trusted advisor. Learn to evaluate issues in the field, offer solutions and quantify the value of products and services. HMU 201 is the ultimate course in understanding metal hose and expansion joint opportunities within six major industrial markets. Each comprehensive presentation covers the types of facilities found within the industries and focuses on the departments and applications where flexible metal products are used. The Webinars combine the knowledge gained from attending HMU with practical in-field product know-how. Industries include: Bulk Transfer, Chemical, Petrochemical, Power Generation, Pulp & Paper, Refining, Shipbuilding, Steel Mills, Utilities & Power, Water & Wastewater Treatment. Send your welders to Hose Master’s Cleveland, Ohio headquarters for hands-on training according to Hose Master fabricating techniques with its team of ASME IX Certified welders. To qualify for this program, welders must have successfully completed at least a basic welder training class. Completion of a Weld Training Questionnaire is required to determine welder’s skill level and number of days (1 – 3) needed for the training session. Please note that this course does not certify a welder but familiarizes them to Hose Master welding techniques. 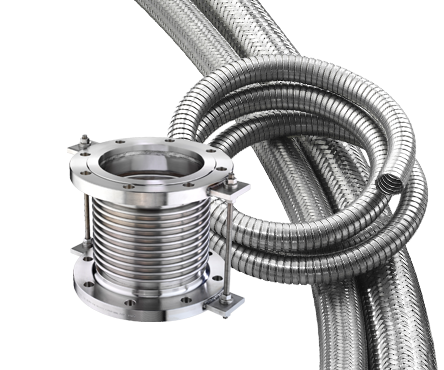 Fabricating distributor welders can send welded assembly samples to Hose Master for skill evaluation testing. If the assemblies pass the evaluation, a Certificate of Recognition will be issued. Distributors will also be provided the reason(s) for failure. Issued Hose Master Skill Evaluation Test certificates are valid for two years. This program does not qualify or certify the welder, but recognizes their ability to fabricate assemblies to Hose Master Procedure EG190W. Hose Master offers on-site and field training to its distributor network. Hose Master’s knowledgeable and experienced sales staff is available for Lunch & Learn sessions as well as field application assistance. For more information on any of Hose Master University courses or training, please fill out the form below.